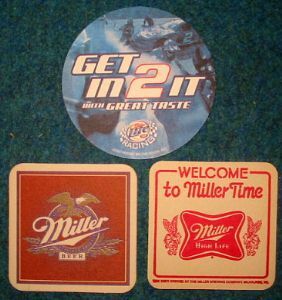 Lot of 3 Miller; All are 2-sided. The Miller Racing coaster is the “Happy Hour” coaster. Great shape on all.